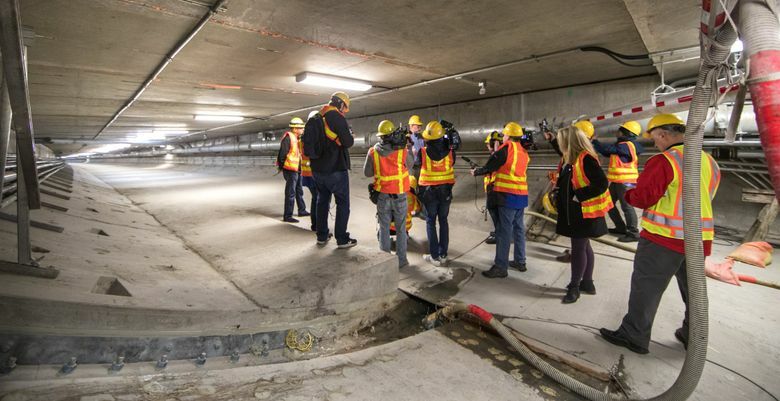 On Monday, the longest (two miles) and widest (53 1/3 feet) multilane tunnel in North America opens to traffic under downtown Seattle. It will upend traffic patterns across the city center. In the time Washington state took to debate, design and build the Highway 99 tunnel, newborn babies grew old enough to drive inside it. 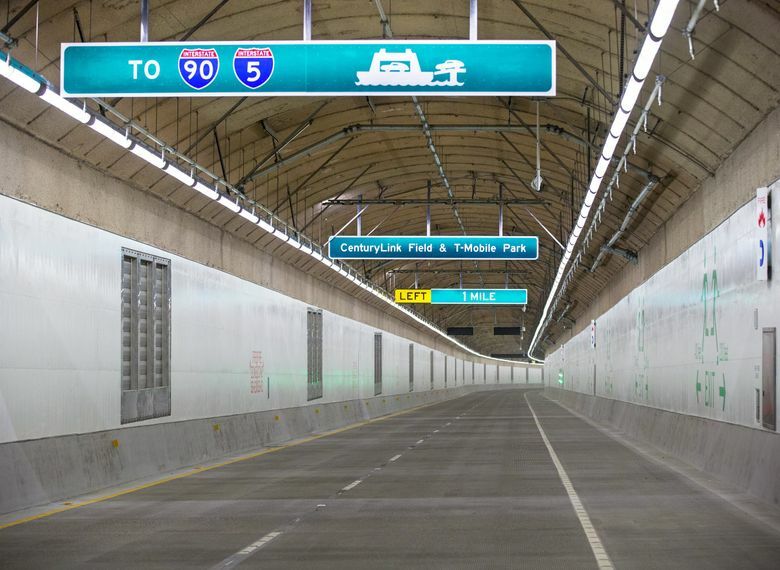 The two-mile Highway 99 tunnel opens early Monday. Crews need another week before opening the final northbound off-ramp, to First Avenue South and downtown. 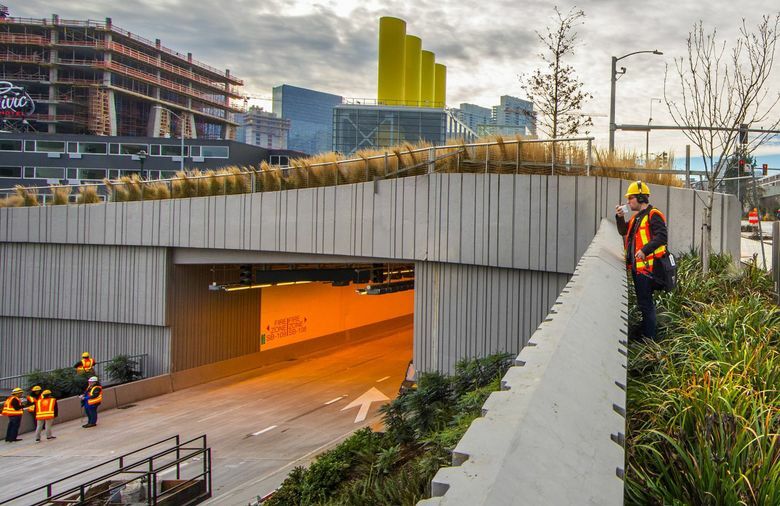 The passage between Sodo and South Lake Union, to open early Monday, serves a different Seattle than we inhabited in February 2001 when the Nisqually earthquake weakened the Alaskan Way Viaduct, or in January 2009 when Gov. 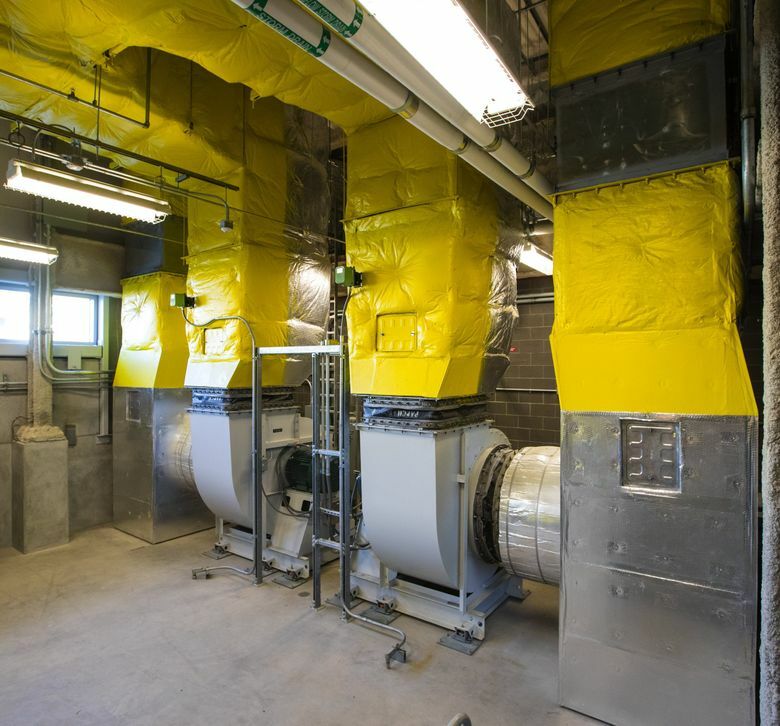 Christine Gregoire decided to build the replacement tunnel. Since the quake, the city’s population has grown nearly one-third to 730,000, while Everett to the north now endures the nation’s worst highway delays. Amazon built towers, and commute habits evolved. Nowadays, half of downtown workers take transit and only one-fourth drive alone, fundamentally changing how people experience traffic congestion. 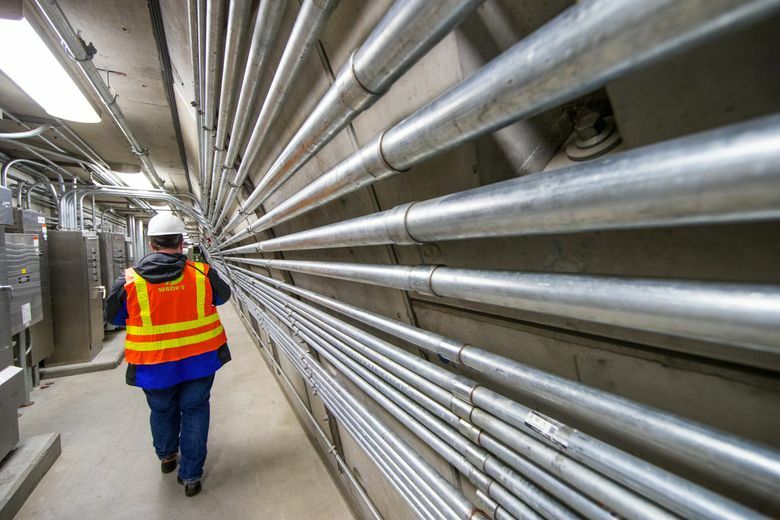 The tunnel is built to last 100 years, so future generations might find new ways to use the $3.3 billion investment with cleaner vehicles or other innovations. Meanwhile, Seattle now has waterfront without the 80-decibel roar of the viaduct, which closed for good last month. This is the longest (2 miles) and widest (53 1/3 feet) multilane tunnel in North America. It snakes about 18 stories below Pike Place Market. And beginning Monday, the tunnel will upend traffic patterns across the city center and funnel cars into neighborhoods already becoming more congested, more dense and more crowded with pedestrians. Drivers might need three months to settle into consistent patterns, based on experience when new tolls were imposed on the Highway 520 bridge in late 2011. Highway 99 traffic will vary during viaduct demolition, construction of surface Alaskan Way, and tunnel tolls beginning in the summer. “Be patient. Things are going to be different at both ends. There’s going to be increased demand on some streets where people haven’t seen it before, and others less, as people experiment with new routes,” said Mike Swires, traffic engineer for the Washington State Department of Transportation (WSDOT). Tunnel critics, meanwhile, still argue the project was a missed opportunity to reduce the use of fossil-fuel vehicles and spend more money on transit. A state law says Washington must reduce greenhouse gases 25 percent by 2030. Tunnel-design engineer Susan Everett of WSDOT notes that the tunnel serves a key safety purpose, while helping people get around. “The reason for this project was to get that viaduct down before it killed somebody,” she said. Some trips will be faster, some slower. But overall, the four-lane tunnel, plus its large interchanges at both ends, provides about the same total road space as the now-defunct viaduct. WSDOT traffic modeling predicts more traffic on Denny Way and through Uptown on Mercer — reflecting the scramble for northwest-side drivers to travel south through downtown. 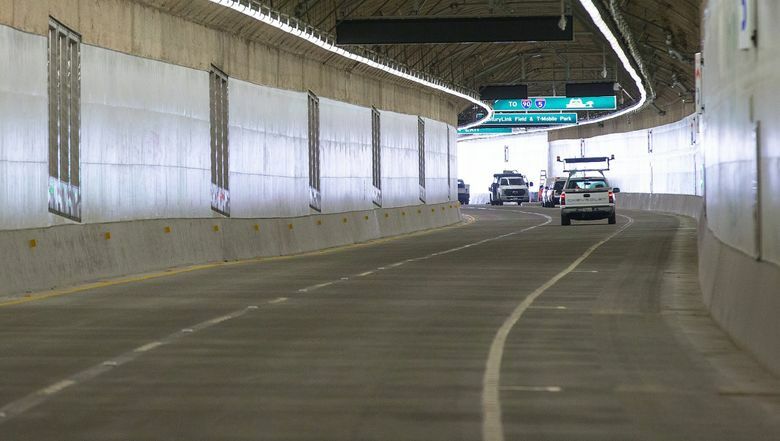 The tunnel is forecast to serve 97,000 weekday trips when toll-free — exceeding 90,000 on the viaduct, says a new WSDOT toll-division study. That’s because the bigger interchanges are expected to entice drivers to use the tunnel, then buttonhook toward downtown destinations, said toll spokeswoman Emily Glad. The tunnel speed limit is 45 mph. An afternoon peak trip between Woodland Park and the West Seattle Bridge will require only 16 minutes via the tunnel, according to the 2010 environmental-impact statement. That’s about six minutes quicker than similar viaduct trips. A trip downtown should take 26 to 32 minutes from West Seattle, or 22 to 27 minutes from Woodland Park, because drivers must use surface roads. 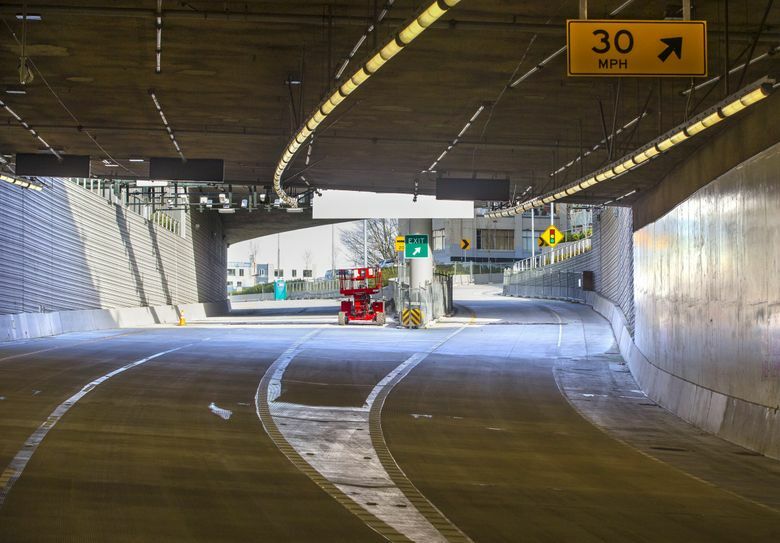 But travelers from Interbay can expect longer drives, through elimination of the viaduct’s Western Avenue exit and Elliott Avenue entry ramps that carried 26,000 vehicles a day. A decade ago, a state administrator guessed traffic coming to or going from northwest Seattle would divide “half and half” between the tunnel and the waterfront Alaskan Way surface route. Traffic models in 2018 agreed, but engineers won’t vouch for that theory. To further cloud the picture, tolling is forecast to slash 44,000 daily tunnel trips — or 45 percent of the toll-free volume — even at discount rates of $1 to $2.25. Some would drive surface streets, some take transit, others stay home. When tolls were put on the Highway 520 floating bridge, nearly half the cars diverted at first, but settled down to 30 percent with a toll rate about double the tunnel. State staff say the high tunnel-diversion figure is conservative, to reassure WSDOT there’s enough toll revenue to repay $200 million worth of debt, as the Legislature requires. Everett, the WSDOT engineer, notes that there are only seven north-south streets between I-5 and the waterfront — the viaduct was added in 1953 and the Metro bus tunnel in 1989. Will Mercer Mess get messier? 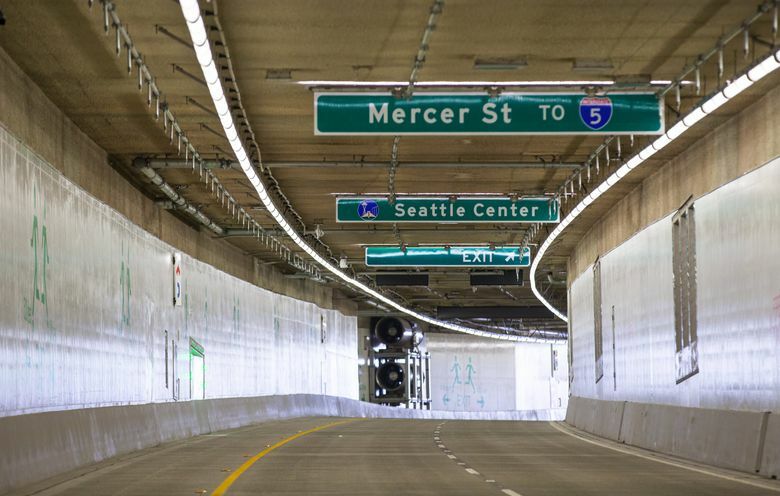 The biggest traffic gamble is the tunnel’s interchange design that pours thousands of cars through a new, northbound exit near Mercer Street. Gridlock on that six-lane arterial already begins before 3 p.m. to frustrate commuters, truckers, transit drivers and pedestrians. 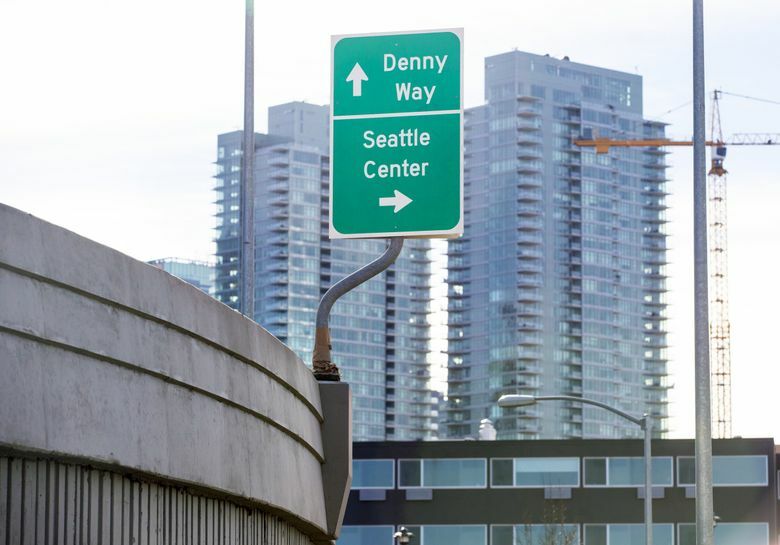 Officials this month hope to avoid clumping where the tunnel offramp meets Dexter Avenue North; drivers there catch a traffic light for a turn left to Mercer, straight toward Westlake Avenue North, or right to Denny Way and downtown. “That’s very key to keeping traffic moving through the tunnel. Maybe we’ll be changing the signal time to accommodate the traffic flow,” said David Sowers, WSDOT’s deputy Highway 99 administrator. The Mercer corridor including Valley Street carries 80,000 vehicles a day — nearly the same as in 2006, city data say. The comparison shows how alternatives to driving have absorbed growth, but also illustrates what traffic-data firm INRIX calls facility breakdown — when snarls become so bad they limit the number of cars that get through. 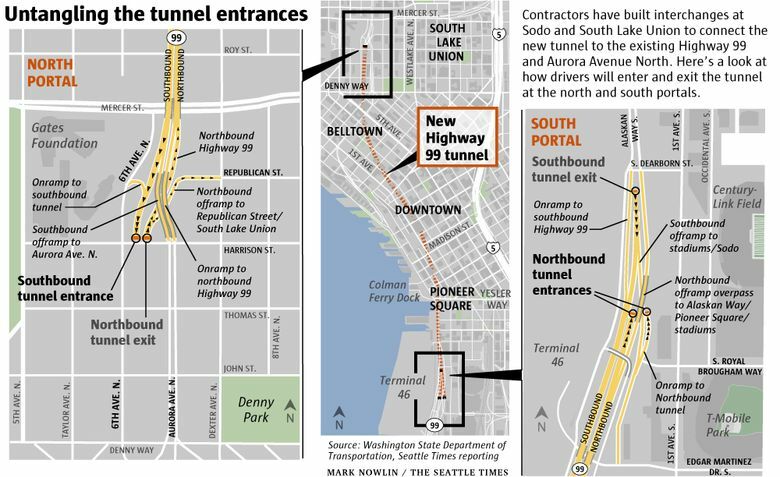 Emery hopes the tunnel will siphon away some Mercer traffic headed to southbound I-5; drivers from Uptown can choose the easy southbound tunnel entrance instead of staying on Mercer waiting to get on the freeway. Upon exiting the tunnel two miles south, those drivers could then get to I-5 or I-90. SDOT will rely on adaptive traffic signals, already installed along Mercer, to read traffic surges and continually adjust green-light timing to keep cars moving. They’ve been added to six intersections near the tunnel. Walking activists resent how adaptive signals devote the lion’s share of green-light time to maximizing car flows. SDOT will test signals that automatically detect waiting pedestrians, but the technology isn’t developed enough for Seattle to adopt yet, Emery said. Even if that works, more pressure on Mercer will come from the Expedia campus in Interbay, where 4,500 employees will work this fall, and the Seattle Center Arena rebuild for NHL hockey by 2021. Cars taking the exit off Highway 99 at the north end of the tunnel cross Dexter Avenue North and its busy lane of bicycles heading downtown. Right-turns will be permitted on red, which encourages drivers to nose forward. As they scan for gaps between cars, drivers may block or fail to see cyclists. A city sampling shows average 1,300 cyclists a day on Dexter, which can double on busy days. “If we see safety concerns, we will be ready to make adjustments,” SDOT tweeted. Cars should flow better mid-downtown on Seneca and Columbia streets, and First and Second Avenues, said Emery. With the viaduct’s ramps gone, traffic won’t congest, models say. Traffic should ease on Western and Elliott avenues through Belltown. An east-west crossing of Aurora at Harrison Street opens Monday, after being severed for 60 years. That will make Seattle Center easier to reach from the tunnel and South Lake Union. Thomas and John streets will also be stretched across Aurora next year, “to help relieve existing streets,” the city’s goal in a 2004 traffic study. But that strategy spreads traffic into back streets that have filled with pedestrians, construction crews, ride-hailing cars and shuttle vans. Models suggest 80 to 200 more cars per peak hour on those streets, and similar impacts in Pioneer Square. Christoph Giebel of Magnolia already experimented with new routes for occasional Highway 99 travel. On a December reconnaissance drive, he skipped the Elliott Avenue left-turn signal onto Mercer and kept going south. He turned left at Broad Street, backtracked uphill and northeast past the Space Needle, and across Fifth Avenue North, onto an empty Harrison Street. One last turn brought him to the tunnel entrance. “It won’t alleviate the fact that Magnolia and Interbay have the short end of the stick, but it will be doable,” Giebel said. These past three weeks, when thousands of people adapted to the full Highway 99 closure by leaving earlier, using transit or reducing trips, show that in the tunnel era, countless changes in travel habits are doable.